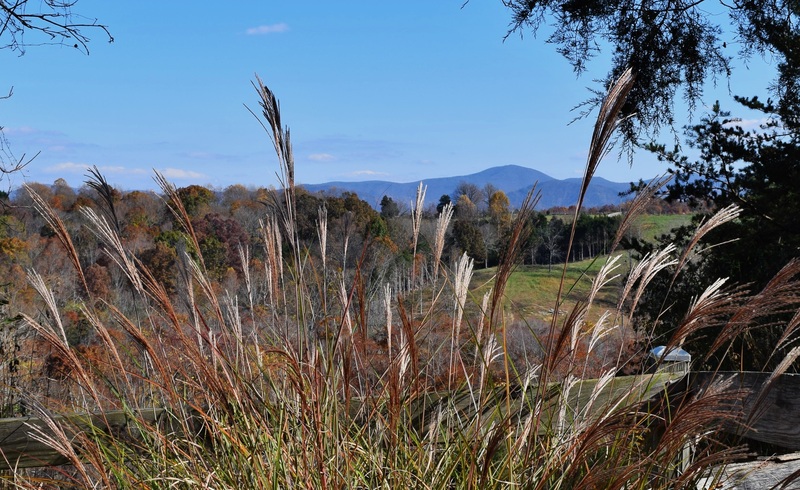 This week my friend Norma and I were privileged to be taken on a private tour of Ridgely Historic Gardens, an amazing walk backward in time through a mountainside property in the Alleghany Highlands of Virginia. There was a slightly ominous, ghostly apparation hanging in the garden that prompted my first question. “What is THAT?” I asked and was surprised and delighted at the answer. 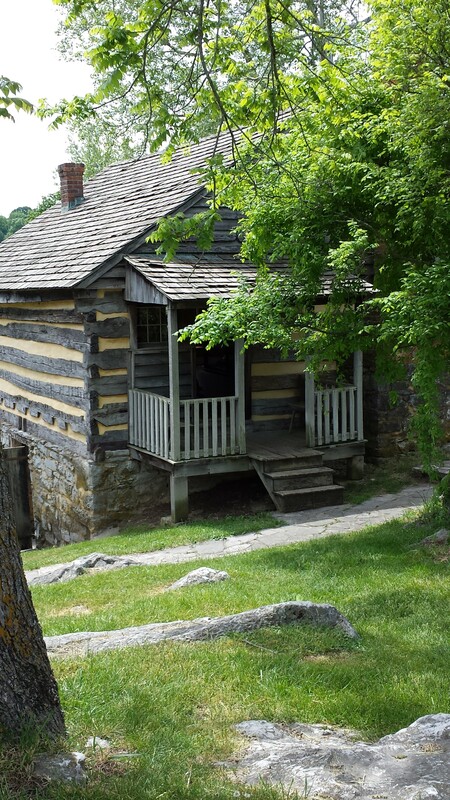 Answer to come in my next post about Ridgely Gardens and the fascinating little town of Clifton Forge. 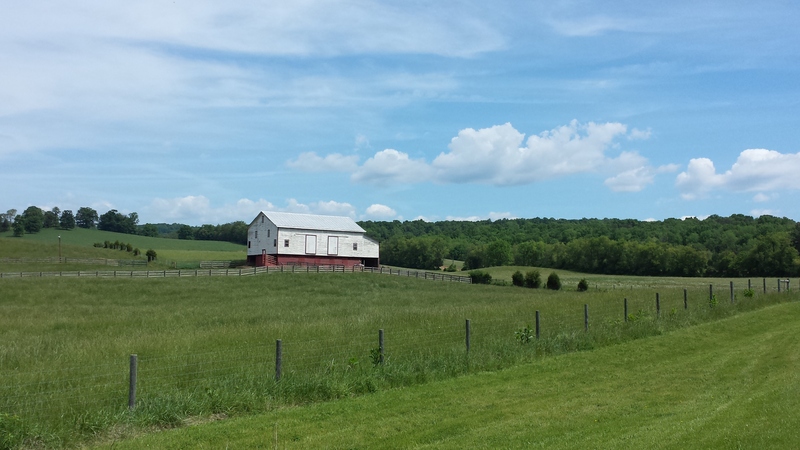 Bill and I went for a Sunday Drive this morning to the McCormick Farm in Raphine, Virginia. The drive itself was filled with “photo ops” down quiet country roads. 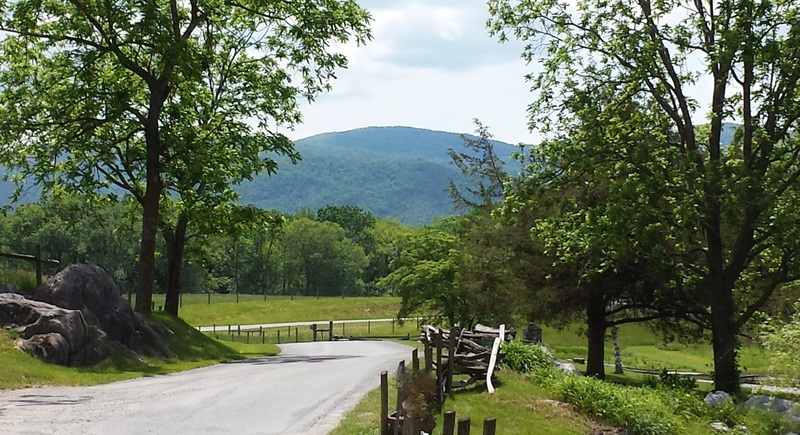 Expansive views came at us from all angles, barns and livestock and mountain vistas. Yes, we had been on these roads before but they are ever breathtaking. 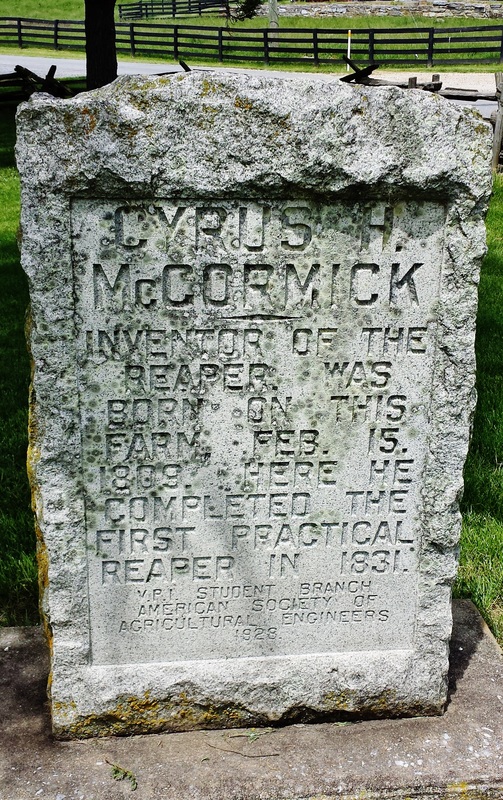 Our destination was the McCormick Farm, home of Cyrus McCormick who invented the first mechanical reaper in 1834 when he was 22 years old! 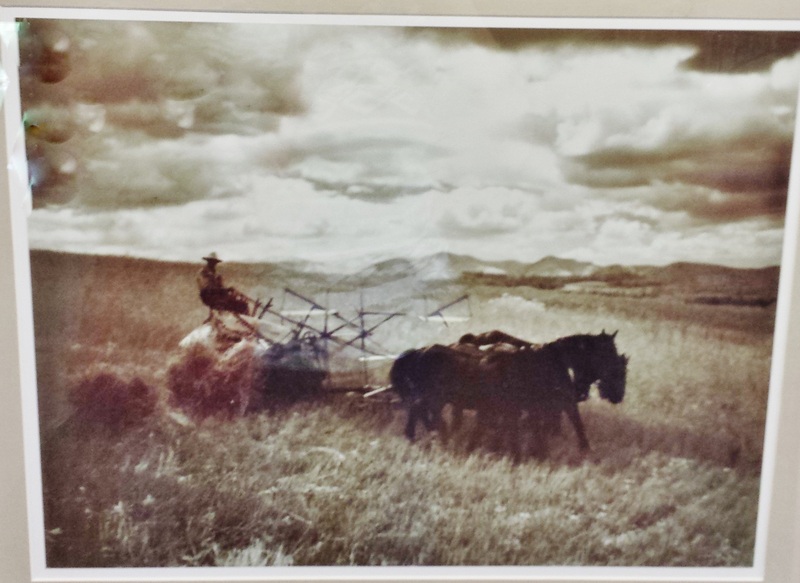 This may not sound like an earth shaking invention, but he literally opened a new era in agriculture “and an age of mechanization that not only changed life on the farm, but also made it possible for millions of people to leave their rural roots and enter a more industrialized society.” (from the farm brochure). What a great surprise to find we were the only tourists there (well, almost). There was a democratic gathering of ducks sleeping on the banks of a stream. I say, “democratic” because each duck was of a different breed or ilk than the other and no two alike, yet they appeared to be snoozing in harmony and took no notice of us intruders. That is, until Bill and I headed for the picnic tree and decided to have lunch before exploring the farm. 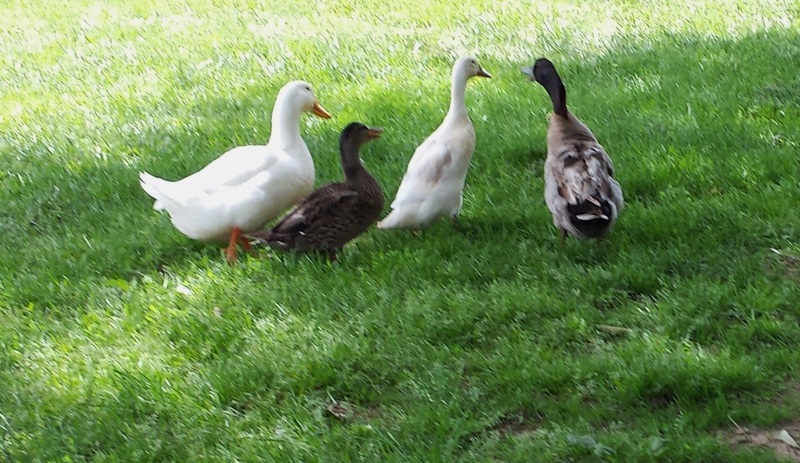 Suddenly the duck contingent began heated discussion and waddled over in a line. They remained highly vocal as we all shared sandwiches and discussed politics. Cyrus McCormick patented his horse drawn reaper and soon he was unable to produce enough of the machines at his farm’s blacksmith shop (the shop can still be visited by us tourists and ducks). So he went to Chicago (Cyrus did) and started a factory in 1847 to serve the Midwest. The reaper and other farm machines developed by the McCormick Company and its subsequent companies (International Harvester for one), vastly reduced the number of people required to produce food and fiber. The results were that our society was freed from the soil and people were able to turn their energies toward industry, science and the arts around the world. 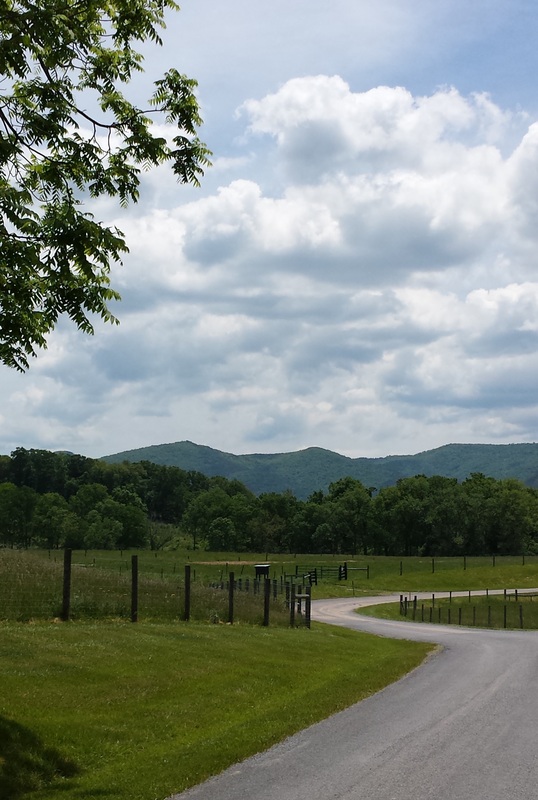 The 634 acre McCormick Farm is now known as the Shenandoah Valley Agricultural Research and Extension Center, which is now part of the Virginia Polytechnic Institute and State University known as Virginia Tech. Agricultural research continues in the areas of animal science, plant science, agronomy, forestry, and other disciplines.